This basic 42 – inch LG’s LED HDTV boasts some really cool features. It is the part of LG’s much loved and well received 2014 LED HDTV series, and there is no doubt that LG will provide you with top quality TV, since this brand is one of the best in the world, and is considered as one of the best TV manufacturers out there. Even though this TV doesn’t come with 3D or smart features, it offers sharp, clear, and bright image since it’s able to display 1080 progressive lines of resolution for very fine details and clarity. This great picture resolution is complimented by amazing 60Hz native refresh rate as well as its amazingly enhanced Triple XD Engine which ensures clear crisp display and vibrant colors. 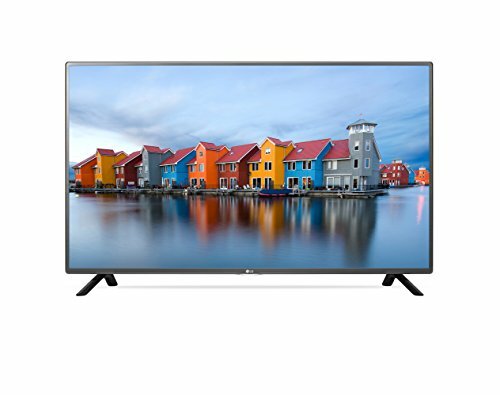 Anyone who’s looking to buy a great TV that will provide amazing viewing experience should definitely consider LG 42LF5600. LG has done a really good job on this TV’s design since its overall appearance is modern and stylish yet it is easy on the eyes and simple. With attractive stand design and thin margins, this model looks expensive and premium. If you’re searching for a LED HDTV for any room in your home and those LG 42LF5600’s specs we mentioned above have intrigued you, you should read and discover some more details about this great TV. It weighs about 20.9 lbs with stand, and 20.3 lbs without its stand. Its measurements with the stand are 37.8 x 24 x 8.6 inches, and without the stand 37.8 x 22.3 x 2.2 inches. These measurements and dimensions give this TV a simple but stylish look. This TV boasts very good brightness levels as well as contrast ratio. The big 42’’ high definition display boasting 1080p resolution (1920 x 1080) will surely impress every technology addict out there. Pixels in this TV are practically impossible for one’s naked eye to set apart since they are packed extremely close together. You’ll find that the colors on LG 42LF5600 look more detailed and vivid even at wide viewing angles. This TV will provide you with excellent movie watching experience as HD quality videos look superb in this LED HD television. Sci-fi movie fans will not be disappointed with this TV as well. On top of all this, this model from LG also boasts two great stereo speakers built-in. These speakers are powerful enough to fill loud as well as clear sound in any mid-sized room. The audio output on this TV is powered by ClearVoice II technology and Dolby digital recorder.